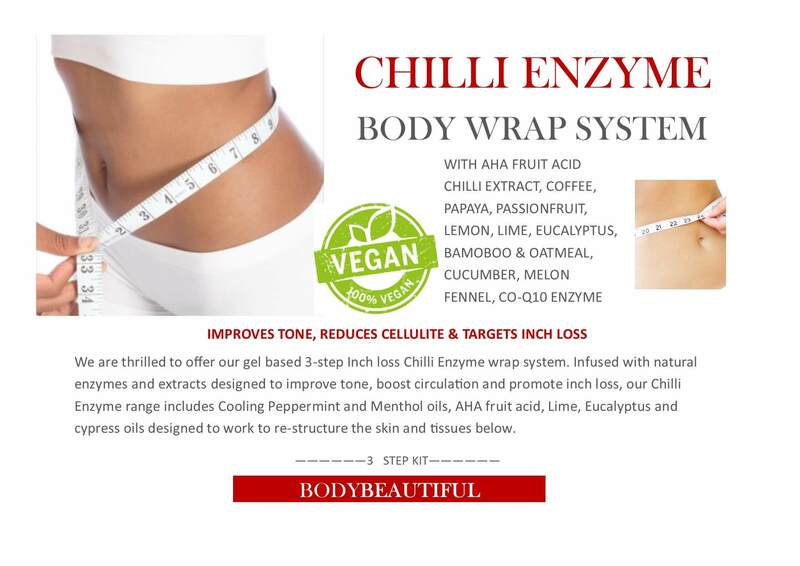 We are thrilled to offer our gel based 3-step inch loss Chilli Enzyme wrap system. Infused with natural enzymes and extracts designed to improve tone, boost circulation and promote inch loss, our Chilli Enzyme range includes Cooling Peppermint and Menthol oils, AHA fruit acid, Lime, Eucalyptus and cypress oils designed to work to ​ re-structure the skin and tissues below. Plant ingredients form the structure of our business. 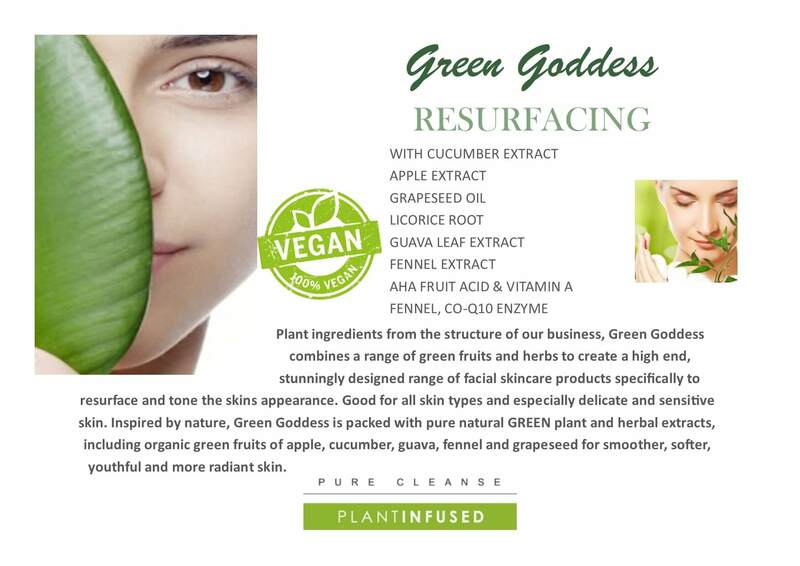 Green Goddess combines a range of green fruits and herbs to create a high end, stunningly designed range of facial skincare products specifically to resurface and tone the skins appearance. Good for all skin types and especially delicate and sensitive skin. Inspired by nature, Green Goddess is packed with pure natural GREEN plant and herbal extracts, including organic green fruits of apple, cucumber, guava, fennel and grapeseed for smoother, softer, youthful and more radiant skin. It isn’t just teenagers that suffer from blackheads, whiteheads and blemishes. Skin is sensitive and at some point suffer breakouts and blocked pores. Hormone changes, diet issues and external factors all play a major role in the health of our skin. 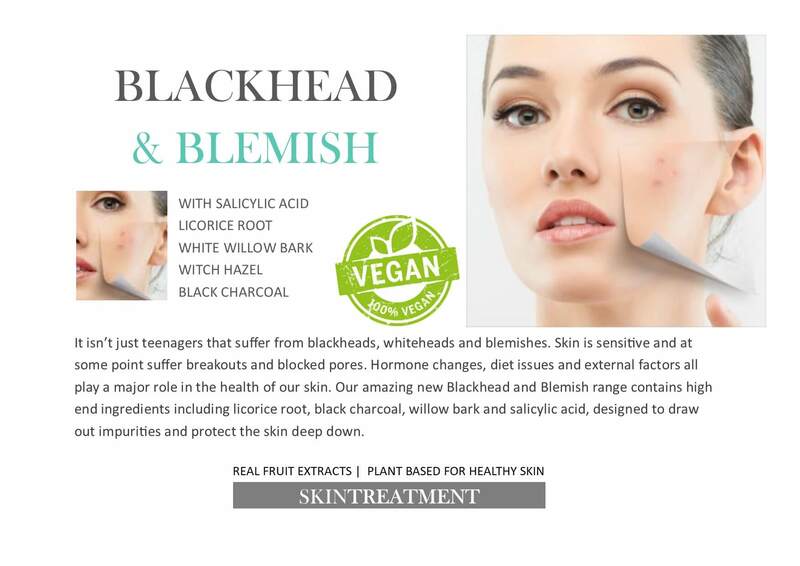 Our amazing new Blackhead and Blemish range contains high end ingredients including licorice root, black charcoal, willow bark and salicylic acid, designed to draw out impurities and protect the skin deep down. Sometimes the skin needs a little helping hand when it comes to hydration. 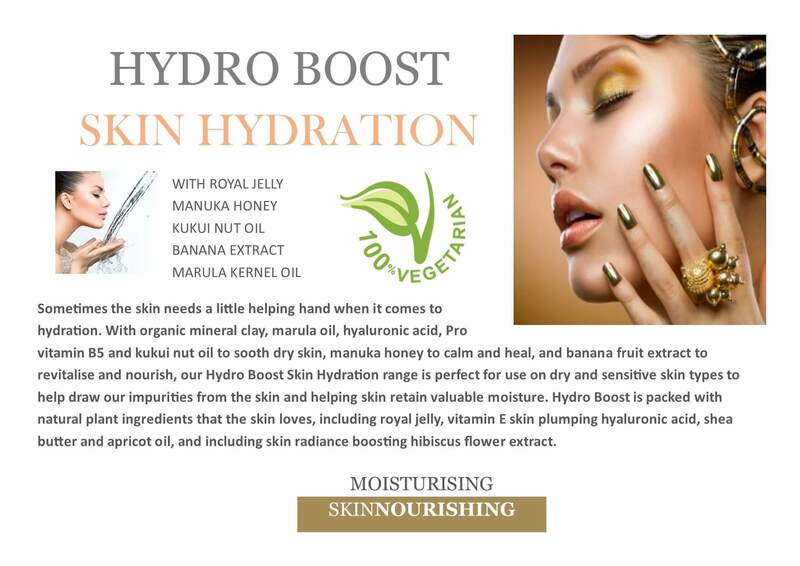 With organic mineral clay, marula oil, hyaluronic acid, Pro vitamin B5 and kukui nut oil to sooth dry skin, manuka honey to calm and heal, and banana fruit extract to revitalise and nourish, our Hydro Boost Skin Hydration range is perfect for use on dry and sensitive skin types to help draw our impurities from the skin and helping skin retain valuable moisture. Hydro Boost is packed with natural plant ingredients that the skin loves, including royal jelly, vitamin E, skin plumping hyaluronic acid, shea butter and apricot oil, and including skin radiance boosting hibiscus flower extract. Sensitive skin needs super extra care to ensure it is cared for properly. 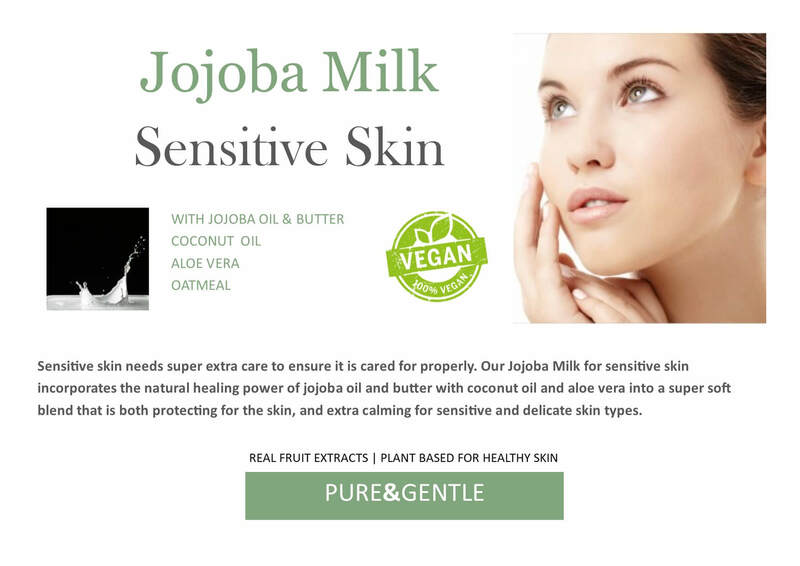 Our Jojoba Milk for sensitive skin incorporates the natural healing power of jojoba oil and butter with coconut oil and aloe vera into a super soft blend that is both protecting for the skin, and extra calming for sensitive and delicate skin types. 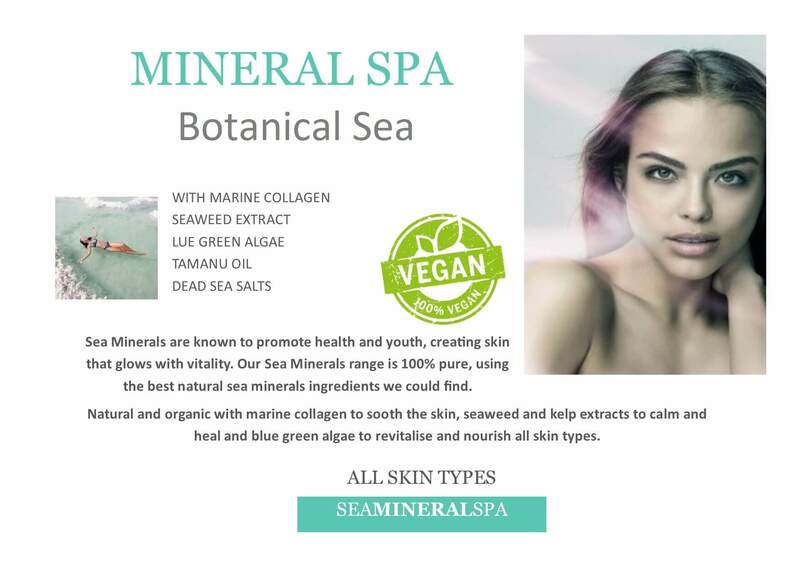 Sea Minerals are known to promote health and youth, creating skin that glows with vitality. Our Sea Minerals range is 100% pure, using the best natural sea minerals ingredients we could find. 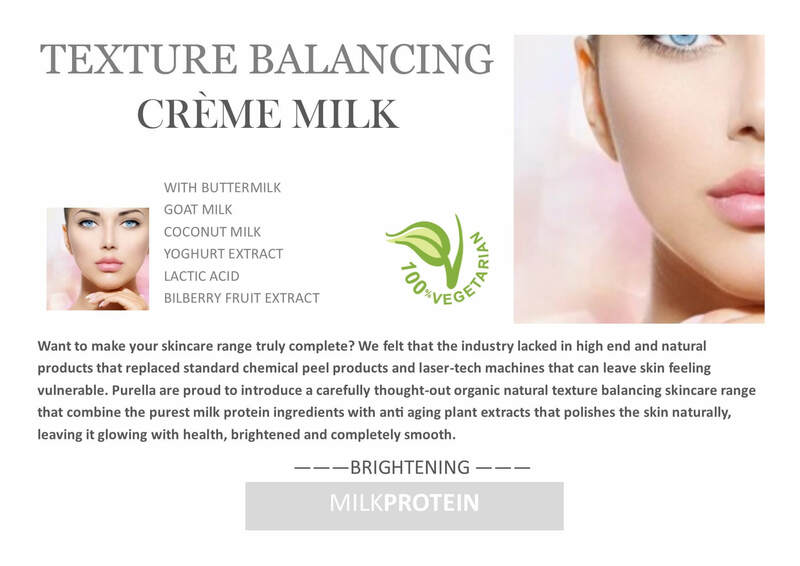 Natural and organic with marine collagen to sooth the skin, seaweed and kelp extracts to calm and heal and blue green algae to revitalise and nourish all skin types. ​Because we understand skin, we understand the problem you face with large, open pores and acne that pops up seemingly for no reason. Teenagers are not alone with this common skin problem either. We imagine that at least 60% of people have open pores, redness, skin blemishes and all the irritations that it causes on a daily basis. 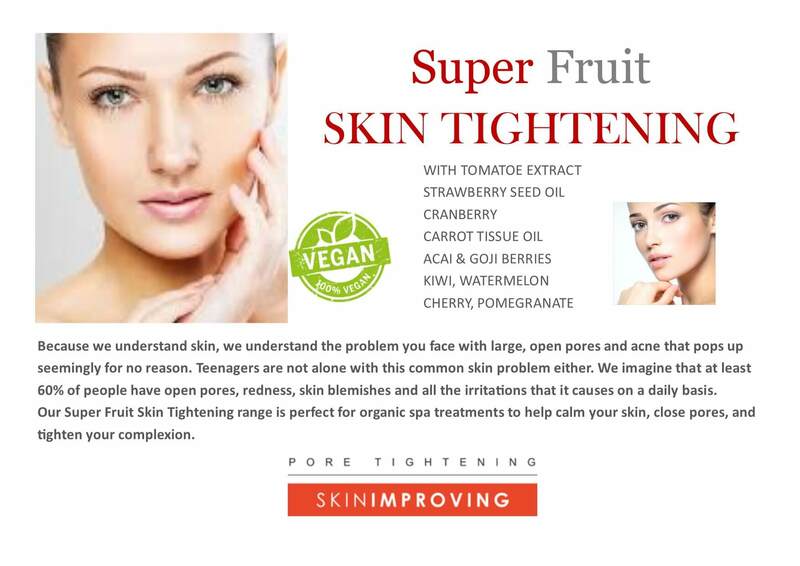 Our Super Fruit Skin Tightening range is perfect for organic spa treatments to help calm your skin, close pores, and tighten your complexion. Want to make your skincare range truly complete? We felt that the industry lacked in high end and natural products that replaced standard chemical peel products and laser-tech machines that can leave skin feeling vulnerable. Purella is proud to introduce a carefully thought-out organic natural texture balancing skincare range that combine the purest milk protein ingredients with anti ageing plant extracts that polishes the skin naturally, leaving it glowing with health, brightened and completely smooth. When targeting skincare which includes beneficial ingredients for both the face and the body, Skinfusions Beauty Berry comes top of our list. Infused with super berry fruit ingredients including elderberries, blueberries, cherries, goji and acai berries, blackcurrants, cranberries and raspberries to promote a brighter complexion for smoother, softer and youthful skin on both your face and your body. 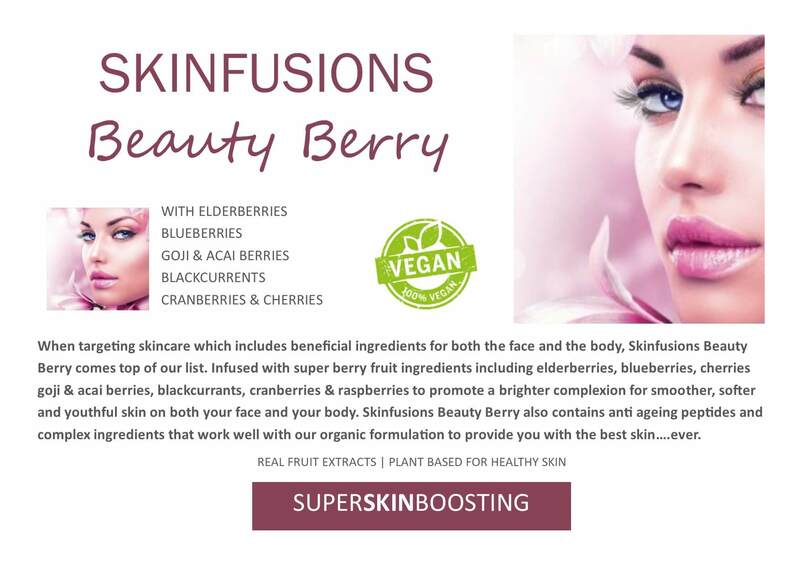 Skinfusions Beauty Berry also contains anti ageing peptides and complex ingredients that work well with our organic formulation to provide you with the best skin….ever. 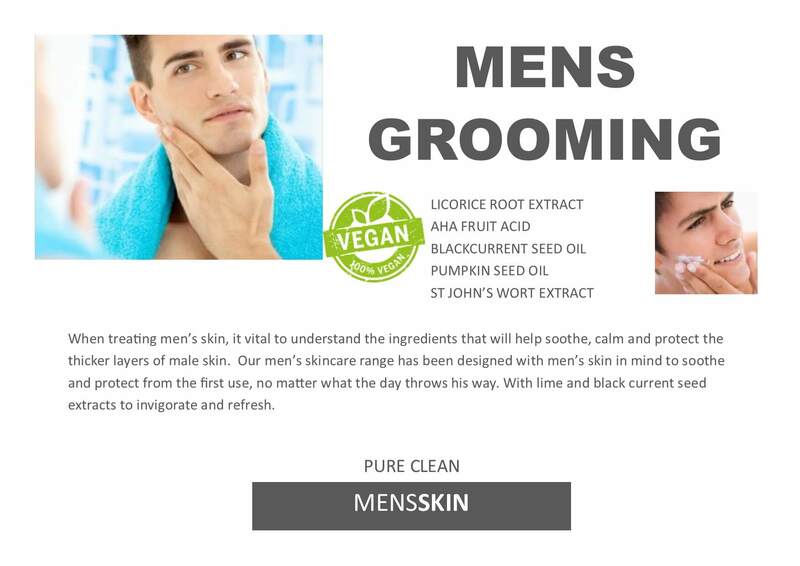 When treating men’s skin, it is vital to understand the ingredients that will help soothe, calm and protect the thicker layers of male skin. Our men’s skincare range has been designed with men’s skin in mind to soothe and protect from the first use, no matter what the day throws his way. With lime and blackcurrant seed extracts to invigorate and refresh. Skin conditions are our body's way of telling us when something internally is not as well as it should be. 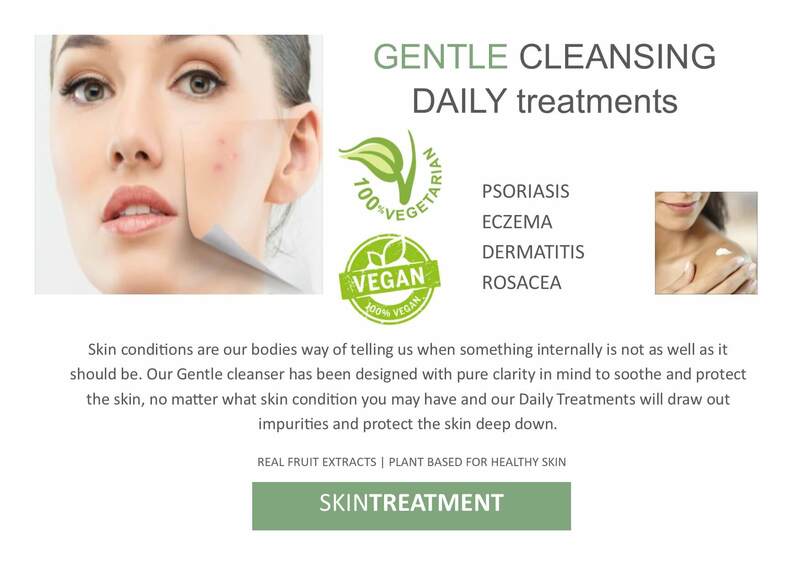 Our Gentle cleanser has been designed with pure clarity in mind to soothe and protect the skin, no matter what skin condition you may have and our Daily Treatments will draw out impurities and protect the skin deep down. ​Cooling skin toners are a vital part of any skin routine. Your skin deserves to be cooled, refreshed and invigorated ahead of your treatment prep and products. 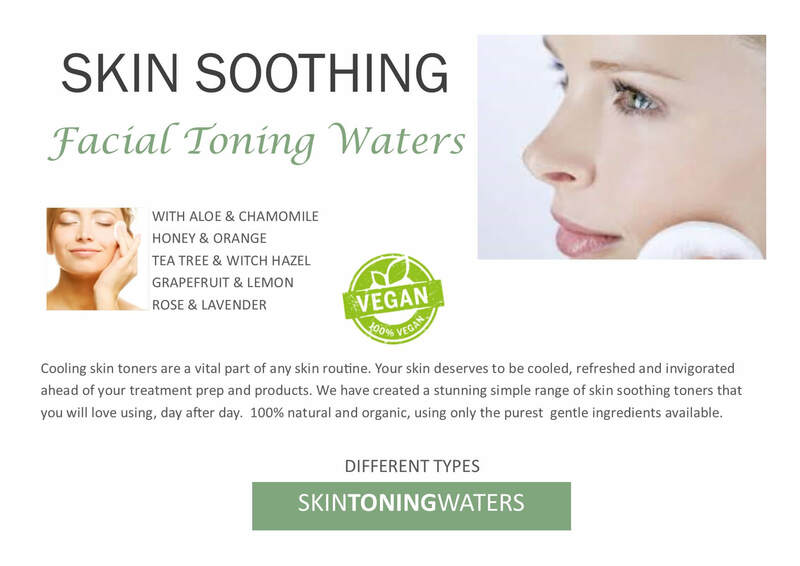 We have created a stunning simple range of skin soothing toners that you will love using, day after day. 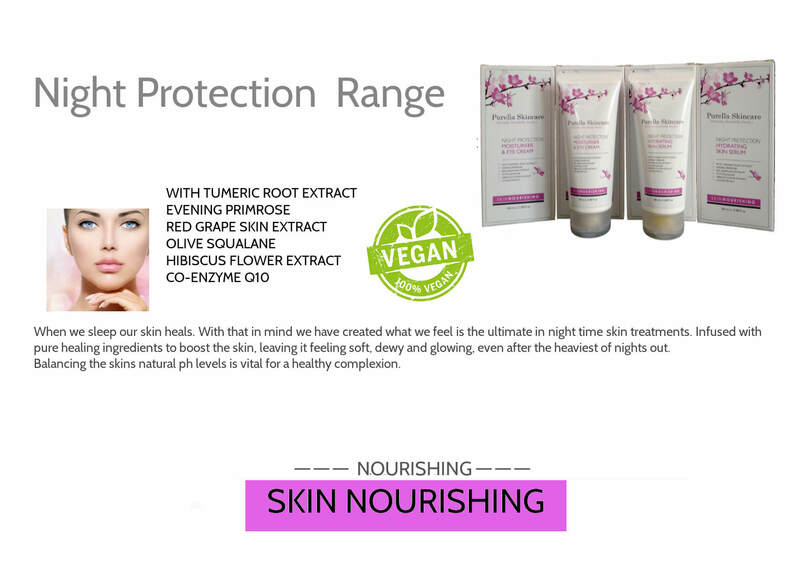 100% natural and organic, using only the purest gentle ingredients available. 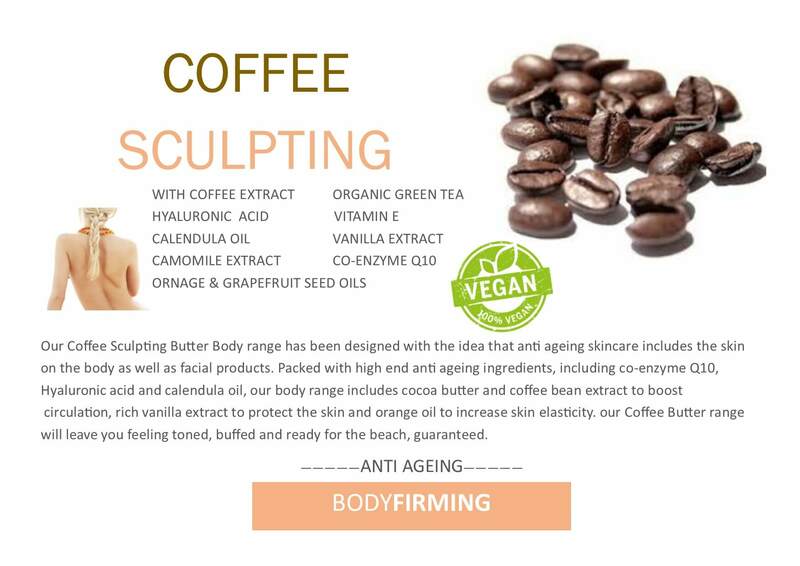 Our Coffee Butter Body Sculpting range has been designed with the idea that anti ageing skincare includes the skin on the body as well as facial products. Packed with high end anti ageing ingredients, including co-enzyme Q10, Hyaluronic acid and calendula oil, our body range includes cocoa butter and coffee bean extract to boost circulation, rich vanilla extract to protect the skin and orange oil to increase skin elasticity. Our Coffee Butter range will leave you feeling toned, buffed and ready for the beach, guaranteed. Hands and feet only ever look good when time, effort and care are taken to look after them. 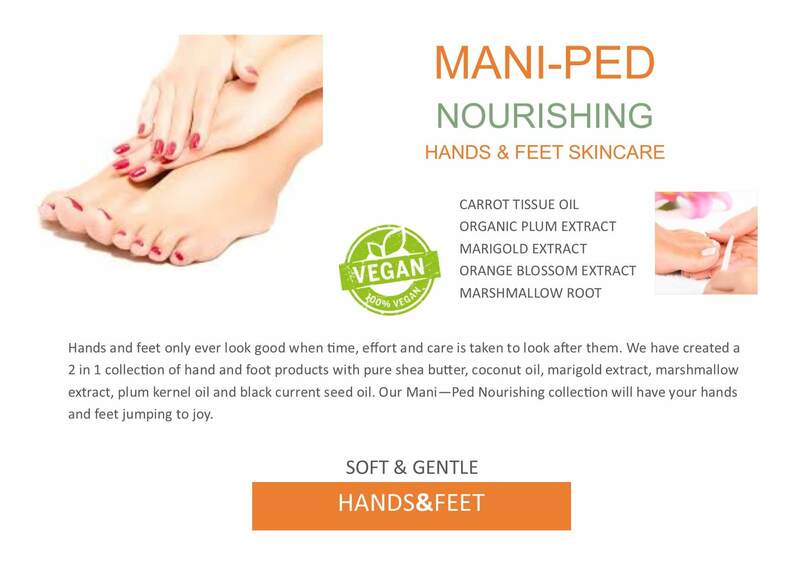 We have created a 2 in 1 collection of hand and foot products with pure shea butter, coconut oil, marigold extract, marshmallow extract, plum kernel oil and blackcurrant seed oil. ​Our Mani—Ped Nourishing collection will have your hands and feet jumping to joy. Our Night Protection Treatment range has been designed to provide skin the perfect boost and night time treatment boost that is lacking in so many routines. Packed with skin nourishing ingredients, Night Protection leaves skin feeling super soft, plump and radiant from the moment you wake up.